Liberia’s rainy season lasts about half the year, cutting deeply into livelihoods of artisanal fishing communities. During this time, fishermen and women are left unable to fish, and fish caught before the rainy season would spoil due to the poor and substandard preservation facilities. Lack of refrigeration and access to electricity cost fish processors large percentages of catch. At best, these months were frustrating due to the lack of income. At worst, it was a season of hunger. But that was before the opening of the Robertsport Fish Landing Cluster (RFLC) preservation facilities in late 2017. Today, about two tons of fish per day are stored in privately owned cold storage there and sold at higher prices by women, who dominate the sector. Fisheries employment increased by 16% as result of recovered stocks, and more jobs are being created, giving fisherman and women newfound hope for their livelihoods and the wellbeing of their community. 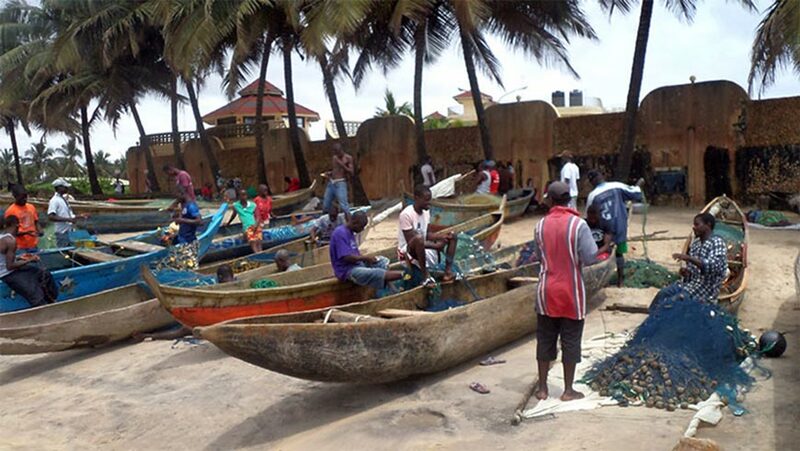 The RFLC is part of the West Africa Regional Fisheries Program (WARF-P) supported by the World Bank. The fishers and harvesters of Robertsport, Liberia, have in recent years requested World Bank support for infrastructure that would help them process and market their fish in 21st century conditions. Financed by the World Bank's IDA Fund, the Global Environment Facility, the Africa Catalytic Growth Fund (ACGF) and other partners, it aims to support countries maintain or increase priority fish stocks and the benefits that they can provide to West Africa, with a focus on benefits for poverty reduction and food security. In what has been called its second major boost to the Liberia fisheries sector, the Mesurado Fisheries Terminal has recently opened, adjacent to Monrovia port. The terminal, which will be managed by the newly created National Fisheries and Aquaculture Authority, also has a monitoring system to manage West Africa country agreements with the European Union and licensed fishing vessels in Liberia’s waters. These projects are designed to benefit and enhance each other to increase management, employment, and revenue while developing the fishing value chain. Strong management of fisheries’ resources has also led to an increase in fish landings, better fish, and increased revenues, achieved through awareness campaigns on sustainable fishing. During the first phase of WARF-P, fisheries governance and management has improved, resulting in fish stock recovery, and the creation of a more stable environment for processing. The terminal is the first step in creating landing, storage and marketing infrastructure that could soon result in increased revenues for communities. Larisa Leshchenko, World Bank country manager for Liberia, said that the terminal is a revitalization project. Forty years ago, the Mesurado Terminal was thriving with exports to world markets, and is destined to do so again, she said. “The facilities will be the home of a new fishing industry of multi-purpose vessels under Liberian ownership, providing sustainable management of fisheries, food security, and employment,” Leshchenko said. This story was originally published by The World Bank.